Exceptional Weddings & Events: user of these general terms and conditions, to wit Sina van Harn, acting under the name “Exceptional Weddings & Events”, situated in 2201 VS Noordwijk, Penhoren 14, The Netherlands and registered in the commercial register under Chamber of Commerce Den Hague with number 65613589. The customer: the counterparty of Exceptional Weddings & Events being the party who granted Exceptional Weddings & Events the contract to organize a wedding, or in whose name Exceptional Weddings & Events organizes a wedding, an event, an anniversary, a marriage proposal, an engagement party, or who makes a reservation to this end. Until an Agreement has been established the customer can also be referred to as the applicant. Agreement: the agreement of service contract. 1.1 These agreements are applicable to all Exceptional Weddings & Events offers and quotations, as well as agreements between the customer(s), including the amendments thereof, insofar as these conditions have not been deviated from in writing. 1.2 In case one or more provisions of these general conditions are declared void or become void, the remaining provisions of these general conditions remain completely applicable and active. 1.3 Any possible deviation from these general conditions are only valid when these have explicitly been agreed upon between parties in writing. The applicability of any conditions that may be employed by the customer are explicitly rejected by Exceptional Weddings & Events. These general conditions shall be substituted for them. 2.1 The first quotation issued is an informal one for both parties. No rights may be derived from misprints, printing errors and typographical errors, or from altered quotations. 2.2 Quotations have, unless the quotation shows another Agreement has been reached, a validity of two weeks, counting from the date the quotation has been drawn up. 2.3 A quotation consisting of different parts does not bind Exceptional Weddings & Events to execute a part of the quotation for the amount stated for that part of the quotation. 2.4 The agreement between Exceptional Weddings & Events and the customer is established by Exceptional Weddings & Events receiving a quotation signed by the customer. 2.5 In case Exceptional Weddings & Events has, at the request of the customer, begun with the implementation and/or the adjustment of a quotation, but no realisation agreement has been reached between the two parties, the customer is bound to reimburse the costs incurred by Exceptional Weddings & Events. Costs incurred would include those costs made for research to obtain more information than is mentioned in the quotation, costs made by viewing a venue, discussions held at the customer’s address etc. 2.6 In the event that the agreement is closed between Exceptional Weddings & Events and multiple customers, then all customers are jointly and severally bound to all obligations deriving from the agreement. 3.1 The Customer must take care that all information and documents that Exceptional Weddings & Events deems necessary for a correct and timely execution of the granted order are received by Exceptional Weddings & Events on time and in the form and manner requested by Exceptional Weddings & Events. 3.2 The Customer must inform Exceptional Weddings & Events immediately about facts and circumstances that may be of importance to the correct execution of the agreement. 3.3 Unless the nature of the agreement dictates otherwise, the customer is responsible for the correctness, completeness and reliability of the information and documents handed over to Exceptional Weddings & Events, even when these have been obtained from third parties. Exceptional Weddings & Events is not liable for damages, of any nature whatsoever, because Exceptional Weddings & Events has relied for the fulfilment of the agreement on incorrect or incomplete information provided by the customer. 3.4 Unless otherwise deriving from the nature of the contract, customer will engage the personnel considered necessary by Exceptional Weddings & Events or will have them engaged for the purpose of enabling Exceptional Weddings & Events to do the work. If the support of specific personnel is necessary, then this will be agreed and documented in the agreement. Customer must ensure that the supporting personnel have the correct skills and experience to be able to do the work. 3.5 Those extra costs and extra fees stemming from the delay in execution of the order, arising from not relinquishing, or not relinquishing in a timely manner or in a correct manner the requested information, documents, facilities and/or personnel will be attributed to the customer. In addition, Exceptional Weddings & Events in those cases has the right to suspend fulfilment of the agreement. 3.6 If the customer engages extra support (personnel) for the benefit of the fulfilment of the agreement, then this must be made known in writing to Exceptional Weddings & Events at least 3 weeks before that engagement is to take place. This extra support will be billed on the grounds of the agreed hourly rate, excluding travel and lodging expenses. 3.7 On the day of the wedding, customer must provide a healthy meal for Exceptional Weddings & Events and any third parties engaged by Exceptional Weddings & Events. If the wedding or reception location is more than one hour’s drive from the residence of Exceptional Weddings & Events, then Exceptional Weddings & Events will bill the customer for an overnight stay in a hotel. Before booking a hotel, coordination regarding this will take place between Exceptional Weddings & Events and the customer. 3.8 Customer gives consent to Exceptional Weddings & Events for the use of visual materials – in the broadest sense of the word and with consideration of the rights of any maker thereof – for the benefit of the portfolio of Exceptional Weddings & Events. 3.9 If customer contracts suppliers, then all agreements with these suppliers must be documented in writing no later than 2 weeks prior to the wedding. If that does not appear to be the case or if significant changes take place, then Exceptional Weddings & Events will bill an amount of € 175.- including BTW (VAT) per documentation or change. 4.1 Exceptional Weddings & Events is only then required to execute the agreement after Exceptional Weddings & Events has received a signed quotation and payment of the first 60% of the agreed amount as referred to in article 7.1. 4.2 If and insofar as a correct execution of the agreement demands it, Exceptional Weddings & Events retains the right to employ third parties for the execution of the agreement. 4.3 The costs for the assistance of third parties and the costs in connection with the reasonable requests of these third parties in regard to facilities shall be borne by the customer. Those costs are not included in the amount agreed to by both parties, unless explicitly stated elsewhere in writing. 4.4 Other persons than indicated in article 4.2, such as vendors, are employed by and at the expense of the customer, unless explicitly stated elsewhere in writing. 4.5 In case the customer wishes to involve third parties for the execution of the agreement, he/she will only proceed to do so after having reached an agreement with Exceptional Weddings & Events regarding this issue, as directly or indirectly employing third parties for the execution of the agreement can have an important influence on Exceptional Weddings & Events ability to execute the agreement correctly. That which has been determined in the previous sentence is also applicable to Exceptional Weddings & Events. 4.6 The styling materials that Exceptional Weddings & Events makes available remain the property of Exceptional Weddings & Events, with the exception of (fresh) flowers. If these materials are not completely returned or are not returned undamaged to Exceptional Weddings & Events, customer must compensate the replacement value to Exceptional Weddings & Events. 5.1 If, during the execution of the agreement, it appears necessary to modify or supplement the tasks for a correct execution, both parties shall confer in a timely manner on how to modify the agreement accordingly. 5.2 If the modifications and/or the supplementation of the agreement have financial and/or qualitative consequences, Exceptional Weddings & Events shall inform the customer of this beforehand. 5.3 Exceptional Weddings & Events retains the right to charge the customer – if more than three months have passed since the closing of the agreement – to increase the stipulated price as a result of any legally imposed price increases and unexpected reasonably higher costs. Exceptional Weddings & Events is bound to communicate and explain these changes in price to the customer as soon as possible. 5.4 Moreover, Exceptional Weddings & Events is permitted to raise the agreed upon price, during the execution of the tasks, if it appears that the original agreed upon and/or expected amount of work was severely misjudged during the conclusion of the agreement, and this is not attributable to Exceptional Weddings & Events, so that in all reasonableness it cannot be expected of Exceptional Weddings & Events to fulfil the tasks for the originally agreed upon amount. Exceptional Weddings & Events shall in that case inform the customer of the intended price increase. Exceptional Weddings & Events shall state the amount of the increase and the date on which it will take effect. 6.1 Exceptional Weddings & Events’s fees are excluding Exceptional Weddings & Events ‘s expenses and excluding expense sheets for third parties employed by Exceptional Weddings & Events. 6.2 The transportation costs incurred by Exceptional Weddings & Events for the benefit of the fulfilment of the agreement within the Netherlands will be billed on the final invoice on the basis of post-calculation and on the basis of € 0.39 per kilometre driven. 7.1 The agreed upon amount shall be invoiced differently, depending on the nature of the agreement. In the event of a completely organized wedding, either domestically or abroad, or master of ceremonies the agreed amount will be invoiced in three part: 40% upon creation of the agreement, 40% two months prior the wedding and 20% after the wedding. The final invoice will also include any expenses, fees, costs for rentals and transportation costs or hotels as well as any other costs made by Exceptional Weddings & Events. 7.2 The customer must pay the amount within 14 days of the invoice date, unless otherwise agreed upon between the customer and Exceptional Weddings & Events. 7.3 After the day of the wedding the customer may receive an extra invoice on the basis of subsequent calculations for the not hitherto invoiced costs and possible crediting or debiting created by the modification of the agreement. 7.4 Possible objections to the (amount of) an invoice do not suspend the payment obligation for the non-contested part of the invoice. 8.1 Claims must be submitted within 1 week after discovery and no later than within 4 weeks after the day of the wedding, in writing and with sufficient justification to Exceptional Weddings & Events. The notice of default must contain a description of the shortcoming in as much detail as possible, so that Exceptional Weddings & Events is able to react to it adequately. 8.2 Exceptional Weddings & Events must be able to check the submitted claim. If the claim is justified in the judgement of Exceptional Weddings & Events and if doing the agreed work is no longer possible or meaningful, then Exceptional Weddings & Events will only be liable within the limits of article 10. 8.3 Submitting a timely claim does not relieve customer of the (payment) obligations under the agreement. 9.1 Exceptional Weddings & Events has the right to cancel or to terminate the agreement, without damage compensation to the customer if the content of the agreement in the judgement of Exceptional Weddings & Events can damage the interests and/or good name of Exceptional Weddings & Events’s business or if the safety of guests, personnel and/or contracted parties is, in the judgement of Exceptional Weddings & Events, is insufficiently guaranteed or upon improper use of the materials made available. 9.2 In case the agreement is dissolved the amounts receivable are immediately claimable from the customer. In case Exceptional Weddings & Events suspends the honouring of its commitments, it retains its claims by law and through the agreement. 9.3 The customer is liable to obtain wedding insurance, unless the parties have explicitly and in writing agreed not to. 9.4 If Customer wholly or partially terminates or cancels an agreement, then the agreed fee and the expenses incurred by Exceptional Weddings & Events, including the compensations to the third parties named in article 4.2 as a result of this cancellation, will be fully compensated by customer with a minimum of 75% upon cancellation up until 8 weeks before the day of the wedding; 90% upon cancellation from 3 to 8 weeks before the day of the wedding and 100% upon cancellation during the last 3 weeks before the day of the wedding or upon cancellation on the day of the wedding. 10.1 Exceptional Weddings & Events shall fulfil its tasks to the best of its abilities and be as attentive to details as can be expected from a reasonably competent and reasonably professional colleague. If an error is made due to incorrect or insufficient information from the customer, Exceptional Weddings & Events is not liable for any damage that occurs as a result of this negligence. If customer demonstrates that he or she has suffered damages due to an error of Exceptional Weddings & Events that would be avoided by acting carefully, then Exceptional Weddings & Events is only liable for direct damages and up to a maximum of the agreed fee. Bruidsmeisje is never liable for damages of any nature whatsoever as a result of the actions or negligence of the supplier(s) engaged directly by customer. • the reasonable expenses incurred to prevent or limit the damage, insofar as the customer can demonstrate these expenses have led to limiting the direct damage as described in these general conditions. 10.3 Exceptional Weddings & Events is not liable for indirect damages, including consequential damage, forgone profits, missed savings, damage due to business interruption, liability for costs related to court proceedings, interest and/or damages due to delays, damages as a result of faulty cooperation and/or information from the customer, and/or damage incurred through Exceptional Weddings & Events’s informal tips or advice of which the content did not explicitly form a part of the written agreement. 10.4 If Exceptional Weddings & Events engages one or more third parties for the fulfilment of the agreement as intended in article 4.2, then Exceptional Weddings & Events is never liable for any errors that are incurred by this third party or parties. If a third party or a third party’s liability is limited, then Exceptional Weddings & Events has the authority to accept that liability limitation on behalf of the customer. 10.5 Exceptional Weddings & Events is not liable for the damage or destruction of documents during transportation or while being sent through the mail, regardless of whether this mailing occurs by or in the name of the customer, Exceptional Weddings & Events or third parties. 11.1 The Customer holds Exceptional Weddings & Events harmless from the amounts receivable from third parties due to damage caused by the customer giving Exceptional Weddings & Events false or incomplete information, unless the customer can demonstrate that the damage has no connection with dealings or omissions by the customer or is caused by premeditation or gross negligence by Exceptional Weddings & Events, and unless any binding national or international law or regulation does not permit such a stipulation. 11.2 The customer holds Exceptional Weddings & Events harmless to claims from third parties with regard to the rights to intellectual property to materials or information provided by the customer, which will be used for the execution of the agreement. 11.3 The customer holds Exceptional Weddings & Events harmless for liability from third parties as mentioned in Article 4.2 and for liability from third parties as mentioned in Article 4.4. 11.4 In case the customer issues data carriers, electronic documents, software etc., the customer guarantees the data carriers, electronic documents or software are free of viruses and defects. 12.1 Exceptional Weddings & Events is not required to fulfil any obligation on the grounds of the agreement if she is hindered in doing so as the result of force majeure. By force majeure is understood: every shortcoming that cannot be attributed to Exceptional Weddings & Events. Blame cannot be attributed if the shortcoming is not Exceptional Weddings & Events’s fault, neither by law, by legal acts or by prevailing opinion. Illness and/or accident, theft, fire, the influence of weather, traffic jams, power disruptions and the like will be qualified as force majeure. 12.2 The customer shall be informed of the force majeure in writing as soon as possible by Exceptional Weddings & Events, unless the customer’s address has not been made known to Exceptional Weddings & Events, and cannot reasonably be obtained. In that case the customer will be informed of the force majeure verbally as soon as possible. 12.3 To the degree that Exceptional Weddings & Events has already met its obligations at the time of the force majeure or shall be able to meet its obligations, and insofar the completed or to be completed part of the agreement has independent value, Exceptional Weddings & Events is entitled to declare the completed or to be completed part of the agreement separately to the customer. Customer is required to fulfil this declaration as if it were an individual agreement and with consideration of the provisions of these general terms and conditions. 13.1 Both parties are bound to secrecy concerning all confidential information that is shared by the parties or obtained from other sources in the context of the agreement. Information is considered confidential when it is communicated by the other party or when this arises from the nature of the information. 13.2 If, on the grounds of a legal provision or court decision Exceptional Weddings & Events is bound by law or through a competent court to disclose confidential information to a third party, and Exceptional Weddings & Events cannot appeal through a right to refuse to answer questions recognised by the law or a competent court, Exceptional Weddings & Events is not bound to repayment of damages or indemnity and the customer is not entitled to the dissolution of the agreement on grounds of alleged damages incurred or those to be incurred. 14.1 Exceptional Weddings & Events retains all the rights to intellectual property with regard to products of the mind which it uses and/or has used and/or develops and/or has developed in the framework of the execution of the agreement, and regarding which it retains the copyright or other rights of intellectual property or which it can ratify. 14.2 The customer is forbidden, with or without the participation of third parties, from duplicating, making public or exploiting those products, including Exceptional Weddings & Events’s computer programmes, system designs, methods, advice, model contracts, contracts and other products of the mind, in the broadest sense of the term. Duplicating and/or publishing and/or exploitation is only allowed after obtaining written consent from Exceptional Weddings & Events. 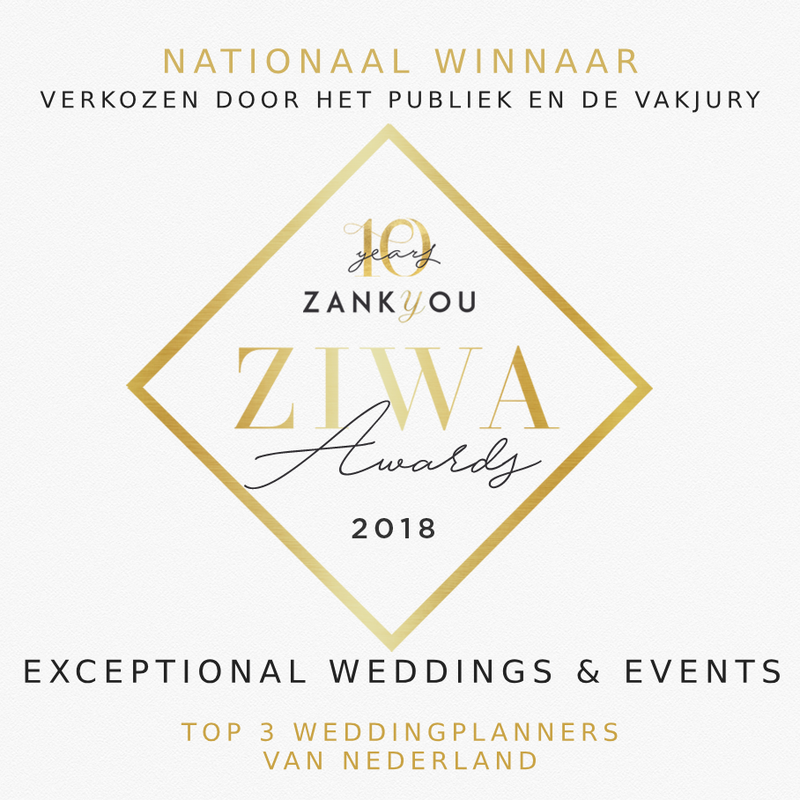 15.1 Disputes between Exceptional Weddings & Events and the customer will be submitted to a competent court in the municipality where Exceptional Weddings & Events is located. 15.2 The customer has the right to choose a legal competent court for the settlement of the dispute within one month after Exceptional Weddings & Events has appealed against him on grounds of paragraph 1. 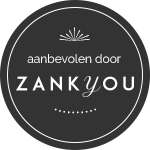 Dutch law applies to any legal relationship between Exceptional Weddings & Events and customer.